Ah-Lan, founder and director of Ah-Lan Dance, is a dancer and teacher of Chinese traditional dance. With 25 years of experience, Ah-Lan created the Ah-Lan Dance program, 7 years ago, with the goals of sharing the beauty and diversity of Chinese traditional dance with dancers and audiences in the Bay Area, and getting dancers of all ages in the East Bay involved in a variety of dance and fitness activities. Ah-Lan began her life in dance as a child of five in her hometown of Hangzhou, China, where she was trained as a performer of traditional Chinese dance. Her early studies led to leading roles with the Hangzhou and Guangzhou Performing Arts Troupes, and she performed with these famous ensembles in their performances across China in 1980’s. In addition to her development as a dancer, she gained broad experience in production and stage management as the artistic director, dance soloist, and MC for these troupes. 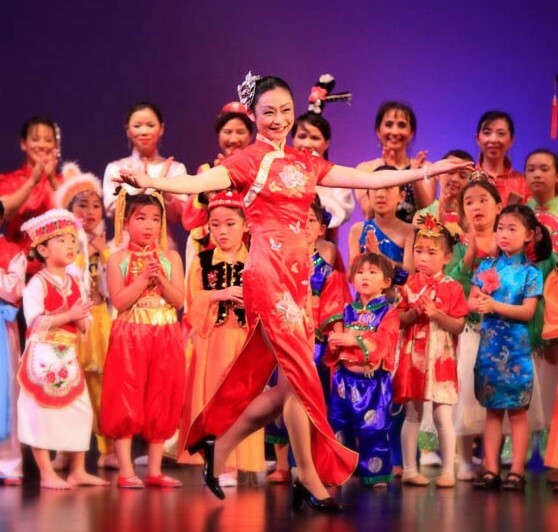 The teaching of dance to young people has been of the greatest importance to Ah-Lan beginning with her first position as dance teacher at Hangzhou’s famous Da Guan School for the Performing Arts. Among the honors awarded to her as a teacher were a student dance competition First Prize for choreography for the dance “The Golden Osmanthus,” awarded when she was just 19; and the official selection of her students to perform in cultural exchange programs with Japan in 1988. Ah-Lan left China for Japan in 1988 and taught Chinese there until she decided to continue her education studying international business. She came to California in 1993 and raised a family while working at Stanford University. Ah-Lan founded her Ah-Lan Dance program in Albany seven years ago. Her program welcomes dancers of all ages, including Kindergartners just learning how to move their bodies, adults dancing for the first time, and teenagers perfecting the art of dance. Dancers trained at Ah-Lan Dance have auditioned and competed at the San Francisco Ethnic Dance Festival as well as dance competitions in the San Francisco Bay Area. 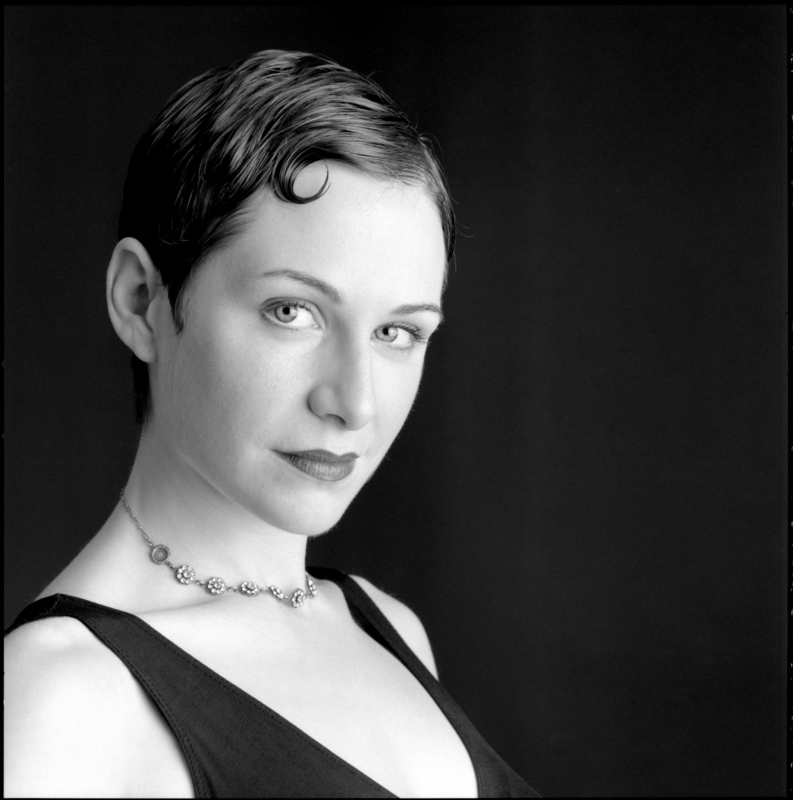 Alison Hurwitz has been dancing in the San Francisco Bay Area since 1997. A Highly Commended Associate of both the ISTD and DVIDA dance organizations, Alison teaches a wide variety of ballroom dances. Alison has performed with such local groups as the Decobelles, Mambo Romero, The Harmony Project Dance Company, DancEvents, Tango Con Fusión and her most recent professional partner, Jesús Ortiz. She currently teaches in El Cerrito, at Ah-Lan Dance. Alison has been seen on Evening Magazine and Channel 5 news, and featured in the San Francisco Chronicle. She has instructed on cruises, at dance camps, and coached performance teams. Alison’s instructional DVDs include Dance Vision’s professional accreditation DVD, as well as Salsa, Bachata, Merengue, Waltz, Foxtrot, Rumba and Swing, available from DanceCrazy.com. 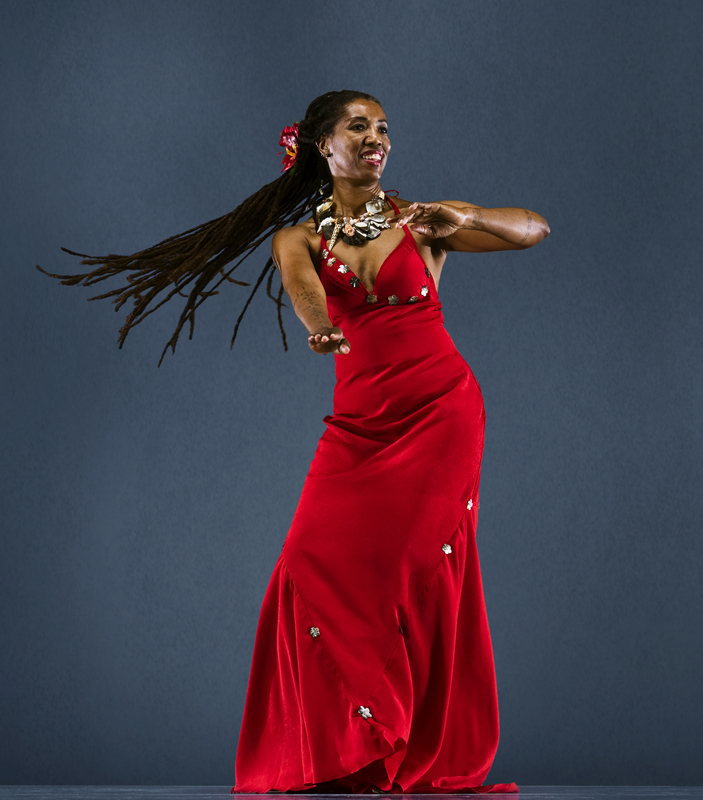 Her festival credits include the Glen Park Festival, the SF Hip Hop Festival, the Front Row Festival, the SF Ethnic Dance Festival, the International Salsa Congress in Los Angeles, and the World Salsa Congress in Puerto Rico. Alissa’s passion for dancing, precedes even her debut in the Oakland ballet company’s “The Nutcracker” as a little “gingersnap” at age six. She trained continuously in ballet for over a decade and now shares her love of the art form with her students who range from age 5 to over age 55. She understands the strengths and weaknesses of each of her students and sets achievable goals that she works to develop through her selection of dance exercises, and by the demonstration and explanation of technique. She takes a hands on approach to the dancing of each student. When not teaching or at work you can find Alissa at the ballet studio finessing her technique to ever higher levels and contemplating the best way to explain the nuances of ballet to each of her students. Amanda Whitehead trained primarily in ballet at The Washington School of Ballet in Washington, DC. She danced professionally with The Washington Ballet from 1994-1996, before leaving to pursue her bachelor’s degree in Spanish with a minor in dance at Princeton University. She choreographed for the drama program at The Pennington School in Pennington, New Jersey, for nine years. 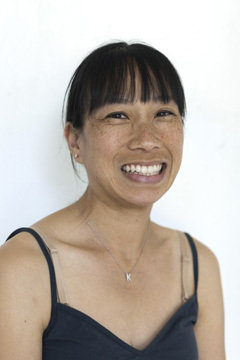 She has been a dedicated teacher of ballet and modern dance for all ages since moving to the Bay Area in 2006, and she became a Music Together teacher in 2011. She currently performs with ahdanco (Abigail Hosein Dance Company), FACT/SF, and Nina Haft & Company, and has also performed with Tammy Cheney and Mo Miner. 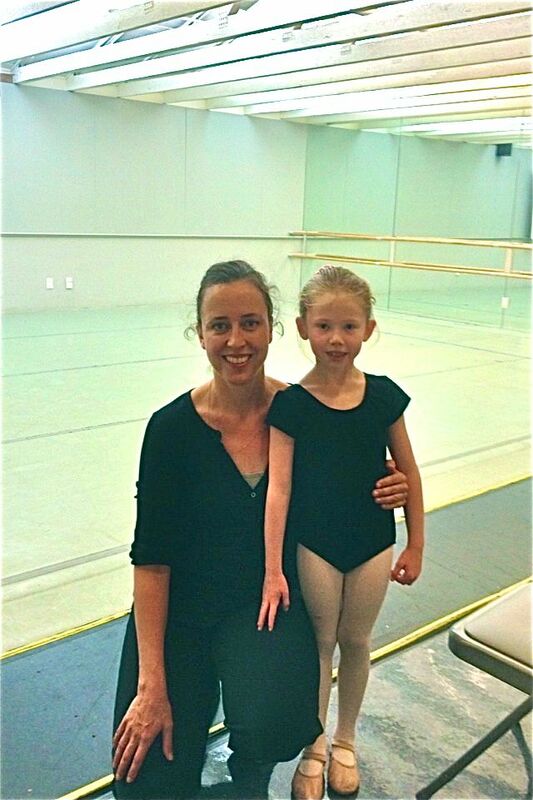 She teaches teaches ballet and modern dance at Shawl Anderson dance school. An began dancing international style latin eight years ago while attending Berkeley. He was fortunate enough to meet renowned international teachers who had moved to the Bay Area, and helped him develop his dancing. Though he’s currently taking a break from dancing, he and his former partners have performed for various venues, one such notable being at the US Library of Congress with Dancing with the Star’s Alec and Edyta, and for various organizations and clients. He has had vast experience teaching people of all ages, but he especially loves teaching competitive dancers through a disciplined Russian approach. Prior to now, he had worked for four years training kids, teens, and adults at the Genesis Dancesport Academy, home of Alec and Edyta, and many of the Bay Area’s top latin dancers. Currently, he is teaching locally, coaching the UC Berkeley Ballroom Dance team, as well as other competitive dancers. Chaityn Isaacson-Brewster is a senior in the dance program at the Ruth Asawa School of the Arts high school. She began studying with Ah-Lan when she was five years old. Since then she has danced with Dance Naganuma, the Annual SOTA Dance Concerts, Carly and Friends, and the Oakland Ballet Company “Nutcracker”. She has choreographed pieces for Ah-lan’s Chinese Gala and SOTA’s Annual Dance Concerts. She is looking forward to entering a college dance program in the fall. Originally from Nicaragua, Francisco Avellan has studied classical ballet extensively with teachers such as Alexi Zubiria and Maria Vegh. He is known for his warm and compassionate teaching style with students from absolute beginners to advanced levels. 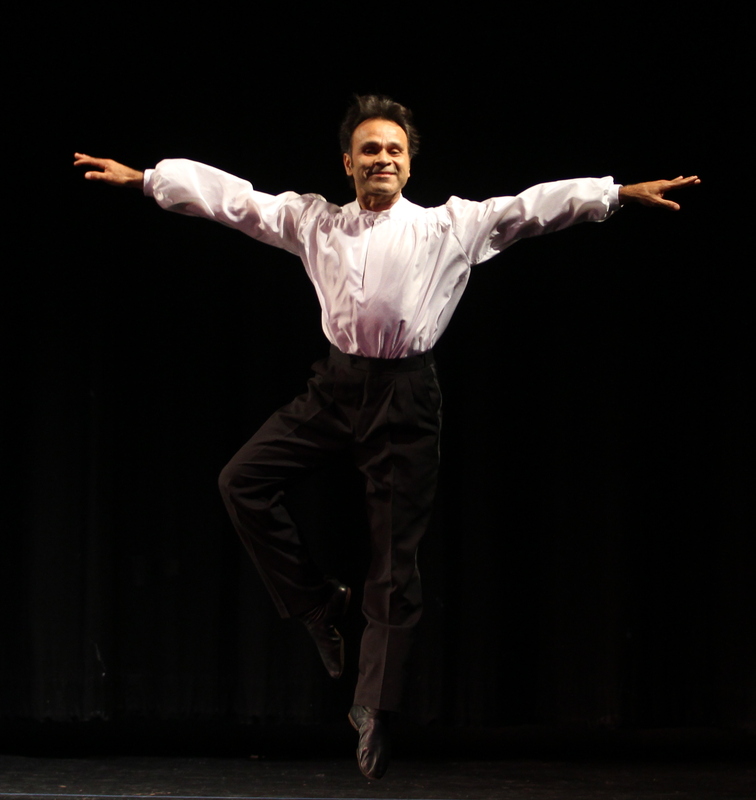 He has danced professionally since 1985 with many Bay Area companies including Marin Ballet. Francisco is Pilates certified and also has a great deal of experience teaching ballet for rhythmic gymnastics. He teaches ballet at Western Ballet. Ikolo Griffin was born and raised in San Francisco. From the age of eight, Ikolo trained at the San Francisco Ballet School, taught by renowned master teachers from around the world. He has danced professionally for over twenty years with San Francisco Ballet, Dance Theatre of Harlem, Joffrey Ballet, Smuin Ballet, and the San Francisco Opera, among others. Ikolo’s intensive training provided a strong classical basis for his performing career and continues to inform his teaching methods. He teaches all over the Bay Area and throughout the country to students of all ages and levels. His philosophy emphasizes a positive, healthy artistic environment and a fresh approach to classicism. Ikolo’s unique teaching style and talents as a dancer led him to create Just Turns, a curriculum specially designed to target and improve turning technique. 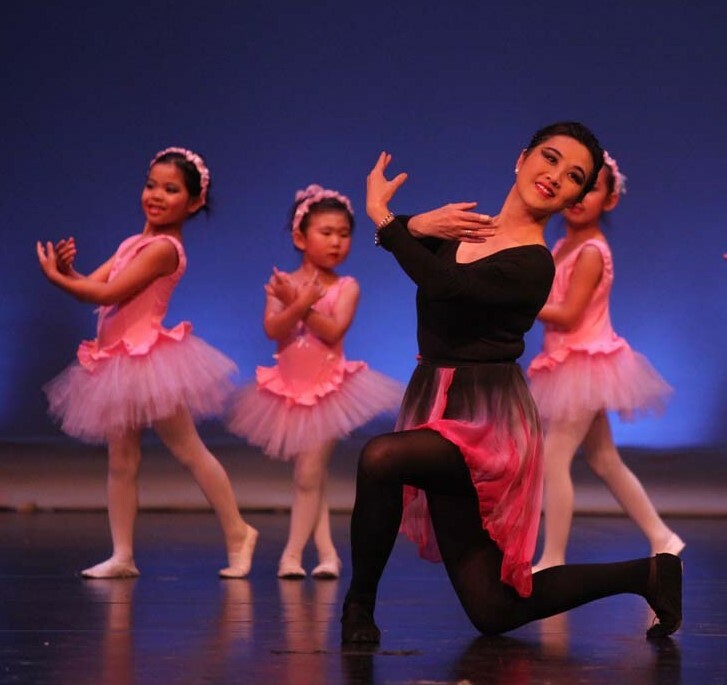 Ms. Lu began her ballet studies at the age of 6 under the guidance of prominent ballet instructor Gwendolin Lee. At the age of 18 she joined the Shanghai Opera and Dance Company, where she had the privilege of participating in many performances during her tenure. She is a passionate teacher of dance, and specializes in introducing the world of dance to young performers. Kari Gim began her ballet training at seven years of age at the Oakland Ballet Academy under the direction of Ronn Guidi. 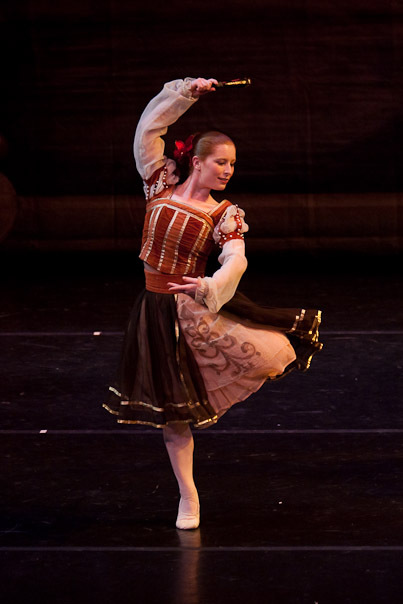 Throughout her training, she performed with the Oakland Ballet Company in performances such as “The Nutcracker” and “Hansel and Gretel.” Kari has taught for Ronn Guidi’s Oakland Ballet Academy and Peggy Peabody’s Ballet Petit and is excited to guest teach for Ah-Lan Dance Studio. Neela Reed received her Ballet training at Petaluma School of Ballet with Ann Derby and Robert Nichols (son of Berkeley Ballet Theater’s Sally Streets.) As an adult she studied Modern Dance in Austin, Texas with Cheryl Chaddick, Kate Warren, Kathy Dunn Hamrick and Toni Bravo. She holds a Bachelor of Arts in French from San Francisco State University and a Bachelor of Fine Arts in Sculpture from the University of Texas at Austin. While in Austin she performed with Diverse Space Dance Theater, Jazz Ballet of Austin, Renee Davis’ Sister Moses, and in festivals for independent choreographers. Neela has 20 years experience with children of a wide range of ages and abilities in academic, recreational, vocational, and in home settings. She is dedicated to a nurturing, diverse and joyful classroom and loves the challenge of teaching a classical art form with these values in mind. Neela is currently also an instructor at Shawl-Anderson Dance Center in Berkeley. Mahealani Uchiyama is a dancer, musician, composer and teacher. An advocate for cultural understanding, she is the founder and Artistic Director of the Center for International Dance (MUCID), and is Kumu Hula (hula teacher) of Halau KaUaTuahine. She is widely recognized for the authenticity and quality of her work. Mahealani holds a BA in Dance Ethnology and an MA in Pacific Island Studies, both from the University of Hawai’i at Manoa, and was trained in traditional hula and Tahitian ori in Hawai’i and Tahiti. Her Kumu was Joseph Kamoha’i Kaha’ulelio. Mahealani’s passion for, and mastery of Hawaiian and Tahitian performing arts has led to numerous performance tours to Tahiti, French Polynesia, Aotearoa (New Zealand) and the islands of Hawai’i. She has taught workshops and led seminars throughout the United States, Mexico and Canada. She has also traveled to Fiji, Rarotonga, Thailand, Senegal, Zimbabwe and India. Mahealani approaches dance as a manifestation of the human spirit, encouraging her students to explore and celebrate their cultural differences and common humanity. She has been a teacher and performer of Polynesian dance for 29 years, and has also produced numerous recordings of traditional Hawaiian and Tahitian music. Her CD, “A Walk by the Sea”, is a compilation of the sounds of her cultural and spiritual heritage and has been awarded the Hawai’i Music Award for Best World Music Album of 2007. Her CD, “Ndoro dze Madzinza” features the mbira, the spiritual music of the Shona people of Zimbabwe. She will soon release a new collection of Mbira music, “The Sky That Covers Us All”. Sarita Ayala was born in Los Angeles, California. Her study of Hispanic dance began there with classes In Mexican Folkloric, Spanish Classical, and Spanish regional dance. 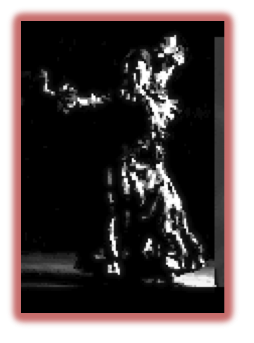 Her first Flamenco teachers included Ester Moreno, Inesita, and later Roberto Amaral. 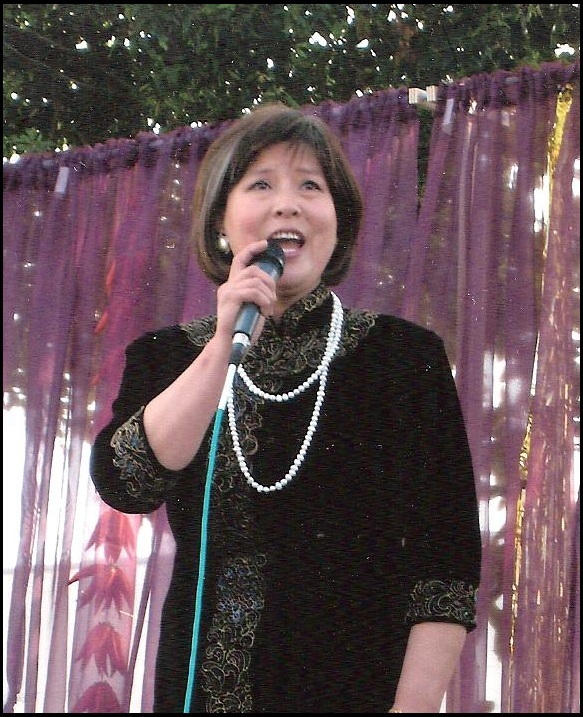 After moving to the Bay Area she became a featured soloist with Los Flamencos de la Bodega at the Old Spaghetti Factory. Cruz Luna’s Ole Ole Flamenco Dance Company, Rosa Montoya’s Bailes Flamencos, The Flamenco Society of San Jose and Theatre Flamenco of San Francisco. In Spain and in the U.S. she has studied with some of the great masters of Flamenco dance including Ciro, Manolo Marin, Angelita Vargas, Jose Galvan, and Concha Vargas. She is cofounder of Flamenco Vivo which performs throughout Northern California. 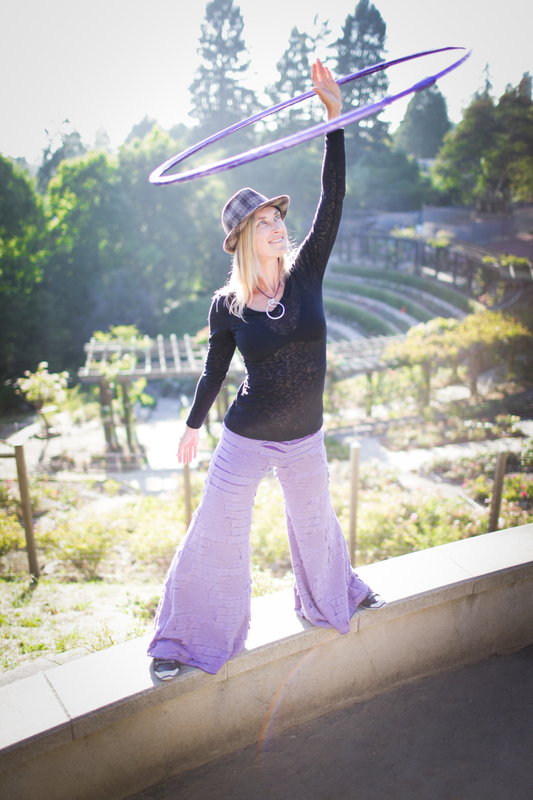 Sarita teaches Children, university students and adults in locations throughout the East Bay. Sun Wei was born with a beautiful voice. After years of training, she became a professional singer at the age of 16. Sun Wei performed professionally in China for about 30 years before coming to the United States. Sun Wei achieved fame and acclaim in China, and her career culminated in her being granted “First Rank Singer” in China by the national arts and culture authorities. Today, Sun Wei runs a Chinese-language afternoon school program teaching Chinese in Albany. She enjoys teaching Chinese to children, and her next dream is to found a youth choir group. Yan Yuan first started teaching Zumba in early 2013 and she thinks Zumba is the perfect combination of dance, fitness, and fun. Yan always loved dance, but had an academic focus as a child. She entered Beijing University at age 16 and received a Masters in Public Health (MPH) from UC Berkeley. 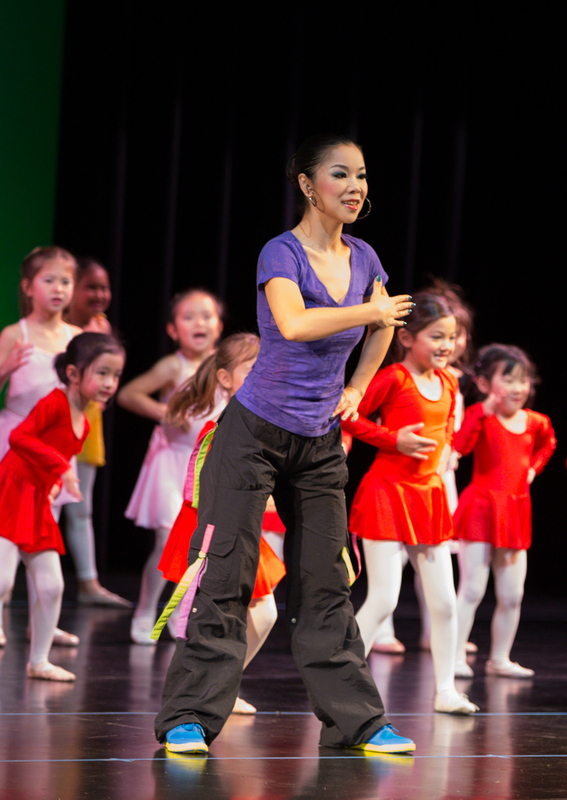 Yan is licensed to teach Zumba®, Zumba® Kids and Zumba® Kids Jr. and brings years of dance experience to her Zumba instruction.